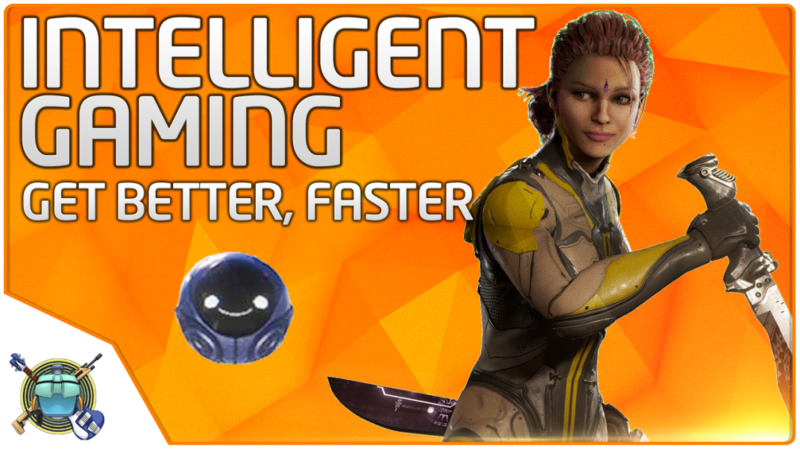 Intelligent Gaming Part 1 laid the groundwork for why we want to game with purpose and avoid overplaying. Many people don’t understand the effects of overplaying and how it can reduce enjoyment inside and outside of your games, while increasing boredom and frustration. Part 2 is all about how to go about gaming intelligently, and the specific practices that can help you get good at your games efficiently so that you can keep them fun, improve your skills, and keep some balance. It’s the sweet spot. If you haven’t seen part 1 yet, it’s worth checking out here to justify why all of the following tips are so handy. Use your gaming time intelligently with deliberate practice in areas like aim, movement, and map knowledge, which are critical to your success. Manage your gaming time by limiting it to 3 or 4 days per week. This will make the psychological process of learning easier and the gameplay feel fresh and fun. Keep your gaming sessions reasonable in length, and take breaks to keep a fresh head and increase your chances of getting in the zone. Set the stage for entering flow states by: building your skill, setting goals, and creating a mental reset button. Special thanks to FrothyOmen for helping create this article and its accompanying video! You can check out his YouTube channel to find many videos including weapons guides, tier lists and other gaming content that has one primary focus: relentless improvement. First, let’s talk about deliberate practice. If there’s a specific part of your gameplay that you’re looking to improve, you quite simply have to practice that specific thing. A pitcher in baseball never really got good at mastering a curveball by playing catch with the first baseman. A swimmer never really improved his lung capacity by enjoying a dip in the ocean. In the context of a first person shooter, you will never get better at aiming without practicing aiming, mastering movement or learning your maps so you can strategize. You will never make quick and solid gains without putting in lots of time and effort in private match. If you practice with a deliberate goal as part of your gaming time, you will see the benefits when you enter a real match. The payoff is definitely worth it, because you improve much more quickly than if you were just to play day after day. The main idea here is to always game with purpose. Whether that purpose is purely leisure or more competitive in nature, it’s important to declare in your mind what you’re trying to do, so you can more readily focus upon it. Many of these tips are aimed at gamers whose purpose is to improve. Playing with no goal other than to have fun and use the gear you want to use is never incorrect. But if you’re losing games, and really want to be winning them, it might be time to start playing with a more focused purpose. Watching recordings is fundamental to optimizing your time spent vs amount learned. Thanks to Xbox, PS4, and any PC with a modern GPU being able to natively record gameplay without the need for external capture hardware, players across all these platforms have a method of learning that’s much more accessible to them than they might realize. So, let’s give examples to help make the point: You can play for 4 hours and say “I want to get better at defending the flag”, and so you play hard defense in capture the flag for four straight hours, and maybe you learn some things, and maybe you don’t. That’s a lot of time to be spending on something with the pure intention of grinding it out, if you don’t have a more specific goal to tackle. Instead, let’s save some time, and identify ways we can approach this problem a bit more intelligently. Let’s do more with less. To do that, let’s cut our normal playtime, and replace some of the gaming with watching some recordings of our gameplay. You only need maybe two or three recorded matches, there’s no sense recording everything because it’s way too much work to go through all of it. Just watch the couple of games you recorded, and try to engross yourself in each one as if you were actually playing. You’ll notice things you never noticed while playing, and make decisions in your head that sometimes agree with what you did, or sometimes disagree. You can then, at that moment, pause and identify which line of play might have been better. Should you have chased that guy down? Should you have hid in your base and waited for your teammates to re-spawn? The list of potential questions is endless, and you can identify if your thought process was “good” or “bad” in making the call that you made. Thinking logically while competing is a pretty hard thing to do, it takes inordinate amounts of practice and experience to feel so comfortable in everything you do that your mind even has time to think. It’s important to note, though, that just because you died or lost the game doesn’t necessarily mean you made a wrong decision! Don’t take every personal failure to heart — it’s possible that you did everything to the best of your ability, you made the right choices, traded favorably against your opponents, but things just didn’t go your way. Do your best to learn from your own mistakes and identify weaknesses. This should only take up a small part of your time. Many shooting games have bots to practice with, and using them wisely is very productive as a warmup. Now, this isn’t to say you shouldn’t employ these mindsets to killing players, but what you should take away is that you shouldn’t take killing fodder for granted. Aiming at any target as quickly and precisely as possible is always good practice. Becoming one with your aim sensitivity, so your avatar in game becomes a true extension of your own body is critical. It’s just like real sports. Your golf club or baseball bat isn’t just a tool. It’s an extension of your own body. There are lots of moving parts to master. Of course aiming in a video game is nowhere near as demanding as swinging a bat, but hopefully my point is well taken. Your controller or mouse deserves the same level of respect you would give any other tool, and never think for a second that shooting AI is beneath you. As always, this loops back to that original idea we’ve been talking about – it’s critically important to practice with purpose. Your time is an investment, and if you invest intelligently, you’ll see bigger and faster returns than would otherwise be possible. This easily translates into other game types because you have to be quick and accurate to have the edge over other people. For example, if you are a MOBA player, it’s absolutely important that you learn how to properly track and predict enemy movement with certain skillshot abilities. The most salient example from Frothy’s personal MOBA experience is while playing Li-Ming in Heroes of the Storm. Her ultimate ability unleashes a laser in a straight line, dealing high damage per second to anyone it touches. If you’re playing against a really small character like Chromie, you’re going to have a rough time dealing any damage unless you have practiced your mouse accuracy. Conversely, you’ll get away with sub-par aim against big body characters like Dehaka or Anub’Arak without too much problem… but it’s always better to just practice that aim to improve your consistency! We could come up with examples for a host of other games, but I’ll leave it there for now on the aim front. Tension is the enemy of performance. If your grip is tight around the mouse or controller, then you have different muscles fighting to get control of your mouse, rather than working together. You essentially get in your own way. By relaxing your grip and using more fluid movements, you open up the possibility of better accuracy and quicker reactions. It might take some getting used to and you’ll probably have to remind yourself to loosen your grip, but it’s worth it, especially when things get hectic! I would do some of the aim / skill practice before playing really concentrating on your relaxed hands before you play. When you’re playing, don’t stress about it, just play and every now and then just notice how your hand feels. If it’s relaxed, you’re starting to change your habit. If it’s not relaxed yet, then noticing that it was tense is a step toward learning to relax it. One more thing about relaxing. It’s not just for your physical self. Relaxing your mental self by focusing on process and not outcome is a big step to being able to drop into “The Zone”. Another play on words would be “zoning in” as opposed to “zoning out”. Relaxing doesn’t mean spacing out. It means pure focus. It means not worrying about what happens. More on this later. Let’s move on to maps, and why it’s important to spend time learning them like the back of your hand. Grabbing a few friends, and heading into a private match with them is a surefire way to learn lots of little intricacies you might otherwise miss out on during normal gameplay. If you’re playing MOBAs like League of Legends or DOTA 2, you would be playing the same map all the time but there’s still a benefit to exploring every part of that map to see if maybe you can set yourself up for ganks, plan rotation routes, or whatever else you might deem valuable as a MOBA player. Knowing your surroundings extensively means you can be creative with strategy. If you’re learning only by playing, you tend to be more reactive than proactive. By doing a little deliberate practice, you can come at the game with a plan so that you are a step ahead of the competition. In first person shooters, understanding the maps is essential to staying alive and positioning yourself well. Some games require you to also learn how to move well as a skill. Much like learning the maps, or testing your weapons, you’ll want to go into a private match and figure out how to move well through the environment to maximize your gameplay. For example, Lawbreakers is a hero based shooter that’s extremely fast paced and movement is really important. Taking the time to learn how to get across the map as fast and smoothly as possible with a character like Assassin, Wraith or Titan will have different nuances that need practice to master. This is much easier to do in a private server by yourself rather than with a team of enemies getting in your way. Now, let’s talk weapons. Know your tools. Do the math. If you know the numbers behind the game, it helps you use your own playing style most effectively. In shooting games, we might learn about the sweet spot range in Battlefield 1 for snipers to get a 1 shot kill, or how far a shotgun’s pellets travel before they disappear and have no effect on enemies. Spray patterns, distance damage drop offs, there’s so much information to learn that you can apply to your playing style. Other games might differ. Games like League of Legends, DOTA, or even Starcraft have varying mechanics, including different damage types, critical hits, and multipliers from additional items to help you become stronger in the game. Studying the ins-and-outs of your weapons is a surefire way to become a better player. If you can start counting the damage you deal to an enemy, suddenly you can start using that knowledge to make split-second decisions that drastically alter the course of the games you play. Spending the time to get to know your game of choice at this level takes a lot of time, unless someone has done the work for you. Generally, that’s the reason why you might watch YouTube channels like Frothy’s! You’ll learn all the really important stuff in a short amount of time, with minimal effort on your part. Remember why it’s important to manage your time gaming. If you want the best out of your concentration, performance, and enjoyment, you have to understand that overplaying your games is one of the big things getting in the way of those goals. So space out your gaming within reason, and reap the rewards of study and contemplation alongside your normal gaming. Now everyone has a different situation, so let’s keep this simple. The important thing here is that you try not to game every day so that can come back to your games with a fresh head. The easiest version of this would be to keep your gaming to 3 or 4 days a week, and not all back to back. This will reduce the effects of overplaying, while giving you the ideal practice time to get good at your games. As for the session times, rather than tell you how much to play, just be aware of when you get to the point that you are just going through the motions, or getting frustrated. You’ve probably benefitted all that you can from this session and it’s probably time to pack it in for the day. To really enjoy yourself or perform well, you don’t really want to just be playing for the sake of it. Now of course, you’ll do whatever you like, and that’s fine. But if you want to test this theory to see if your gaming experience improves, give it a try. Playing more than 4 days a week, or really long sessions isn’t the end of the world either, it’s just that the experience starts to be less rewarding as your brain adapts to the overplaying. We think that this is the real sweet spot for gaming for all the reasons you see here, but you be the judge. Let’s move on to Flow States. A flow state is basically intense concentration, with no mental chatter. You basically don’t think, you just do. Ever heard of being “in the zone”? That’s a Flow State. Like we said in part 1, this is not something you can force, but you can help to create the conditions needed to fall into a flow state more readily. With practice, you might find yourself there more often, and when you’re in the zone, you become capable of amazing things. At the same time, you’ll be enjoying your game to the maximum level you can. So, what can we do to hit those flow states as often as possible? You need some level of skill to pull off a flow state. It’s pretty unlikely to experience the zone when you’re doing something for the first time, so you’ll want to be comfortable with what you’re doing. A bit of muscle memory is needed, so use the practice tips to get better, faster. This is the foundation you need to be able to drop into the zone. Usually, fatigue and playing on autopilot are the main enemies of feeling flow. If you want to compete, you’re trying to perform at your best. Don’t just go through the motions. Before you enter a game, remind yourself why you actually play this game and what you want to get out of that session. Set a goal for the score, mastering a new weapon, or levelling something else up. Game with a purpose, so that you can up the concentration and avoid playing on autopilot. My sport of choice is Beach Volleyball. I have had many practice sessions where i did my “reps”. What did that look like? Well I might pick one particular skill such as the “high line”, which is a finesse shot that is meant to drop into the back corner of the court, hopefully out of reach of the defender. On many occasions I just trained this skill by repeating it hundreds of times per week before I allowed myself to move on to something else. It required a “tolerance for boredom”. Sometimes the most useful and productive things in life aren’t the most exciting. By doing the stuff you can’t be stuffed doing, you can reach your goals much faster, and much better. Remember that score comes as a symptom of playing with purpose. Focus on the process, not the result. The process sets you up to get the result. Having a ritual before you play a game is very useful for you to most reliably execute in the way you are wanting. As a golfer, you’re always approaching your ball in the same way and setting your club in the same way. As a baseball player, you’ll have a routine you run every single time before stepping into that batter’s box. As a gamer, you can also adopt some simple rhythms and habits that operate as a sort of mental reset. The single most prolific example of such a phenomenon came from the Halo 1 days, by a player named Ogre 2. Considered by many to be the best Halo player of all time, Ogre 2 is very notable in that he very often spins his aim in a very tight circle when not engaged in a fight. When he first started doing this, it was for the mechanical benefit of recalibrating the aim reticule of the pistol from Halo 1. However, over time, it became a signature move that simply kept his thumb warm and in-motion, and more importantly, allowed him to set his cadence in his head. This simple motion was something easy and familiar he could always go back to and rely on, and was his equivalent of the mental reset button. No matter what your game or sport of choice is, there’s always room for SOMETHING to latch on to, some sort of key that will help you clear your head. For some people, it’s as simple as taking a deep breath, but with enough time and introspection you can find something that works for you. Let’s put it all together. You’ve built your skills, you’ve got goals in mind for your play, and you’ve cleared your head, allowing complete focus on the game at hand. Keep your gaming sessions reasonable and not playing just for the sake of playing. Notice yourself losing concentration? Take breaks to keep a fresh head and increase your chances of getting in the zone. Use your gaming session time intelligently with deliberate practice before you actually enter the arena, including things like video review, accuracy practice with AI, learning the maps and mastering movement. Good luck getting into the zone!